Noodles may very well be the perfect meal. They’re filling, they’re inexpensive, they’re tasty, and there are plenty of restaurants in Tennessee that know how to make them right. 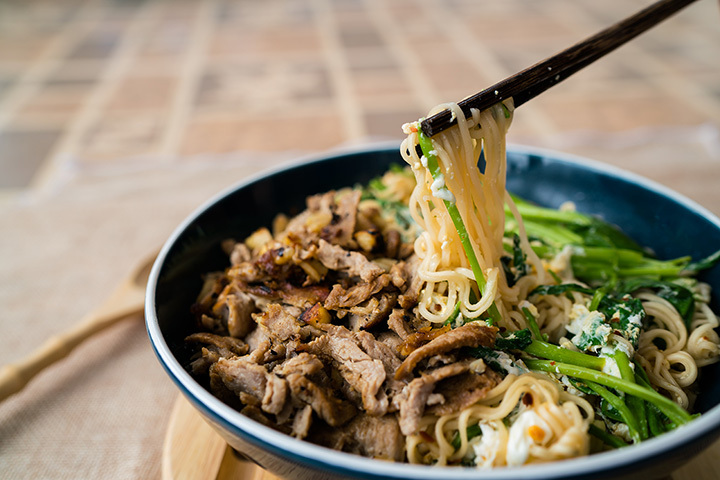 Noodles are also one of the most versatile foods you’ll find anywhere, pairing perfectly with just about any kind of meat or vegetable you could want. If you’re craving this Asian sensation, head to one of these 10 best noodle places in Tennessee. This amazing Ramen house is perfect for two reasons: first, they have the best ramen dishes in the city. And two, it’s BYOB so you can get the exactly brew you want without having to pay expensive restaurant prices. It’s a win/win! Fans love this place, citing the smaller atmosphere and killer menu as the biggest reasons they come back. This ain’t your college noodle dish, bro! They make all their ramen dishes in the traditional Japanese way, serving it only when the ramen are at their peak of taste and freshness. Fans rave about the delivery service they offer. The delicate creations inside Thai Noodle Town are made to order and cooked to pure perfection. The cooks here put a lot of time into make sure each dish looks like a work of art and tastes wonderful. The only thing that compares to the food here is the service—they’ll make you feel like part of the family. This award winning ramen place is all the rage for a reason: it’s modern, inventive, and 100 percent exquisite. They bring a fusion of cuisine to a single dining experience. Patrons go crazy over the option to add a second helping of noodles to your soup as you’re wrapping up Round 1 for a low price. Their menu is one of the biggest in town, offering everything from deep fried garlic bulbs to octopus to mouthwatering ramen bowls. The best part is you get to customize your own bowl. Start with a ramen style, then add your noodles and any extra toppings, like kimchi, tofu, seaweed, or vegetables. It’s a one of a kind meal, every time. Fans rave about the prices and short wait times here, even on busy weekend nights. This place has lots of choices for special diets, including a variety of meat-free options. The portions here are generous, so you can rest assured you’ll be walking away full and satisfied. Visitors will agree they have the best noodles in the area. The service is quick and prices are reasonable, considering how much they load up your plate. It’s a low key, casual experience that you’ll be excited to have again and again. As one of the only places for Pho in the area, fans love coming here for their “fix”. Their authentic Vietnamese cuisine will make you think you’ve stepped inside a cafe overseas. Fans agree the food here is well worth the wait! Part noodle house, part live music venue, this place has a lot going for it. Customers love coming here to have a relaxing meal with friends. If you’re on a special diet, their vegetarian menu is second to none. This favorite Thai restaurant is spacious, sophisticated, and delicious. Truth be told, they do much more than noodles here, but the noodle dishes are a main attraction that diners just can’t get enough of. Make sure you save room for dessert—the sticky mango rice is a must-try!